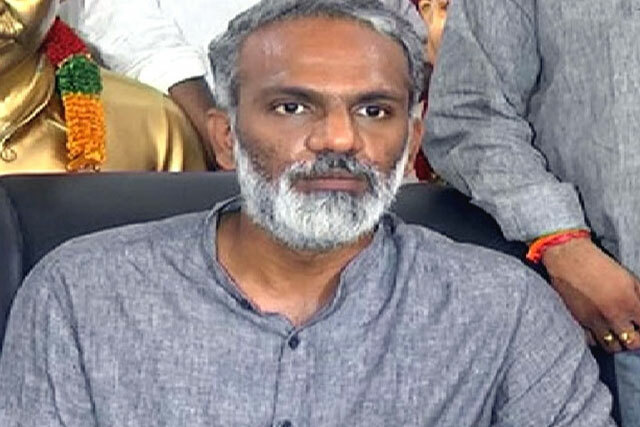 Why Vangaveeti Radha Shouldn't Have Quit YCP? Vangaveeti Radha resigned to YSR Congress Party recently. If the speculations are true, He could be joining Ruling TDP in the near future. Few TDP Leaders have been already confirming the possibility of Radha's entry into their party. 1) YCP denied him Vijayawada Central Ticket as his chances of victory looked bleak. Instead, Vijayawada East or Machilipatnam Lok Sabha Seat were offered for him. 2) YS Jaganmohan Reddy kept offering Radha ample importance in the party. He wasn't only made YCP Youth-wing President but also asked to choose either MLA or MP Seat inspite of heavy competition. All the Senior YCP Leaders tried their best to convince Radha to withdraw his plans to quit. This didn't happen in the case of any other leader who contemplated to walk out of YCP. 3) The decision to join TDP could be suicidal. Why because, Radha & her Mother Ratnakumari kept accusing TDP Leadership of conspiring to kill Ranga all these years. Forget about the public, Even most of his followers can't digest if Radha joins the same party. Will There Be Republic Day In These 5000 Schools In Telangana?